I long have held up a former Amarillo mayor as the model for defying certain natural laws. How? By being everywhere at once. That’s what former Mayor Debra McCartt managed to do during her time as the city’s chief elected official. McCartt, the city’s first female mayor, seemingly was able to attend multiple events simultaneously while representing City Hall, advocating for the city, rooting for interests being promoted by municipal management and the City Council. Debra McCartt might have to move over, making a place for another politician. He is Robert Francis “Beto” O’Rourke, the Democratic candidate for U.S. Senate. O’Rourke is challenging Republican U.S. Sen. Ted Cruz, who is running for re-election to his second term. Indeed, it seems as though Cruz has been in the Senate forever, even though he’s just a rookie lawmaker. O’Rourke has been on TV shows left and right: Stephen Colbert; Ellen DeGeneres, Jimmy Fallon. He’s been interviewed by MSNBC, CNN and various broadcast network talking heads. Has Beto cloned himself? Well, no. He hasn’t. It just seems as though he has. I get that Cruz has been tied to his desk in Washington. For that matter, O’Rourke should be, too. Except that the House of Representatives, where O’Rourke serves, has taken some time off; the Senate, though, was kept on the job by Majority Leader Mitch McConnell, who canceled the Senate’s annual summer recess. O’Rourke’s defying of these natural laws — visiting all 254 Texas counties and appearing on every TV talk show under the sun — might explain partly why he is making this U.S. Senate contest so damn competitive. I still hold former Mayor McCartt in high regard for the ability to be everywhere at once that she demonstrated while advocating for the city. However, she no longer stands alone as the public official who manages to be everywhere at the same time. How is the State of the City? Here’s an idea for the next mayor of Amarillo to ponder, although I don’t expect any immediate reaction to it. The next mayor will take office shortly after the May 6 municipal election. So, how about crafting an annual State of the City speech? I once pitched this notion during the time Debra McCartt served as mayor. She listened, more or less. McCartt responded by convening a session that was broadcast on Panhandle PBS (which was known then as KACV-TV). She visited with former Amarillo Economic Development Corporation CEO Buzz David and Amarillo Chamber of Commerce president Gary Molberg. Now … think about that for a second. David at the time was paid to lead the job-creation effort for the AEDC; Molberg’s job is to be the city’s No. 1 cheerleader. What are these men going to offer in terms of the “State of the City”? The notion of talking to these two fellows — both fine men — was downright laughable if you were looking for any objective analysis. I am hopeful that Ginger Nelson will be elected mayor this coming May — but you know that already. Whoever gets elected, though, ought to consider picking a venue to stage such an event. Then he or she should speak for about 30 minutes about the State of the City. I believe it is helpful to hear from the city’s presiding government officer about how well he or she believes the city is working. Perhaps the mayor can limit remarks to what’s coming up, what lies in the city’s immediate future, offer some detail on ongoing projects for residents to consider. Residents of other cities of comparable size hear from their mayors on an annual basis. Sure, I get that there could be a politicization of these events, given that we elect our mayors every other year. I suppose the best way to avoid the accusation of a mayor using such a speech as a campaign event would be to schedule it soon after an election, say, in July or August of that year. Such a speech from the mayor, moreover, would elevate that individual’s standing and give the mayor an additional “bully pulpit” from which to offer a vision for the city. I get that the mayor and all four council members represent the same residents, that they’re all elected at-large. The mayor, though, is the mayor. It’s reasonable in my own mind to give the presiding City Council official a platform from which to lead. I got home from work this evening and found something on the dining room table I did not expect. It was a report of traffic violation that I committed near downtown Amarillo. I drove through an intersection where the city had deployed a red-light camera. But here’s the thing. As of today, I have no memory of getting caught. I didn’t blaze through the intersection and see a flash go off behind me as I scooted on down the street. 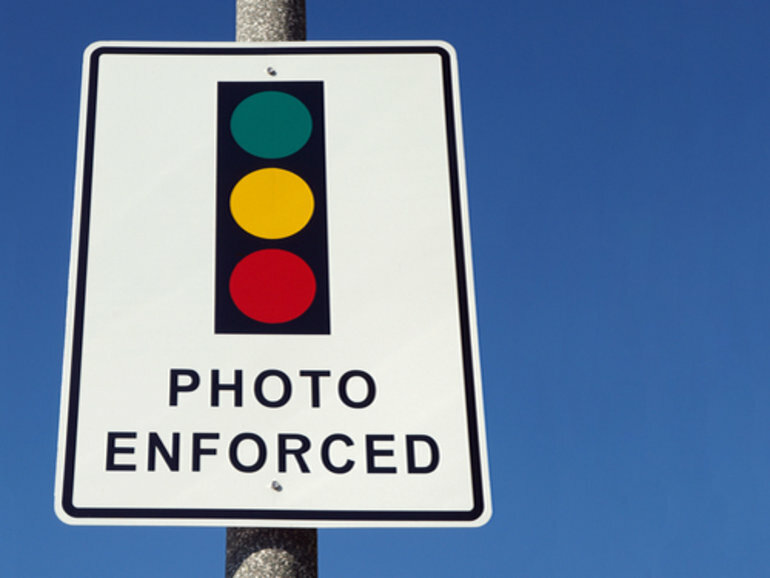 For that matter, I didn’t even see the “Photo Enforced” sign the city posts 300 feet before every intersection where the lights are set up. I won’t make an excuse. I have none. I got caught. I’ve written the check and I’ll pay the fine. I won’t contest it. What’s more, I continue to be a big supporter of the devices. They serve to deter motorists who commit deliberate acts of red-light-running. I will continue to applaud the city — under the leadership of then-Mayor Debra McCartt — for enacting the ordinance that established the enforcement system and for resisting efforts to persuade City Hall to take the cameras down. The closest thing I can find for an excuse, though, might be that the sign posted prior to the intersection wasn’t visible enough for me. Then again, in all likelihood it is my own damn fault for not being alert enough to notice it. Moreover, I know this as well. Now that I am fully aware of that particular camera has been set up, I’ll be extra careful when I travel through that intersection in the future. While I’m at it, I probably ought to acquaint myself with all the red-light-camera locations around the city. I also will be more alert and work harder to avoid running red lights. Bring a woman back to City Council? I’ve been thinking for the last little while about the gender makeup of Amarillo’s municipal governing panel during the 21 years I’ve lived here. We arrived in Amarillo in 1995 and the then-City Commission had a woman serving with four men, the late Dianne Bosch. As I look back during the two decades here, I seem to recall that almost during that entire time the commission comprised at least one woman. It had a co-ed composition until this past year, when two female incumbents — Lilia Escajeda and Ellen Green — lost their re-election bids. Now the City Council comprises all men. One of them, Dr. Brian Eades, is leaving the council in July. 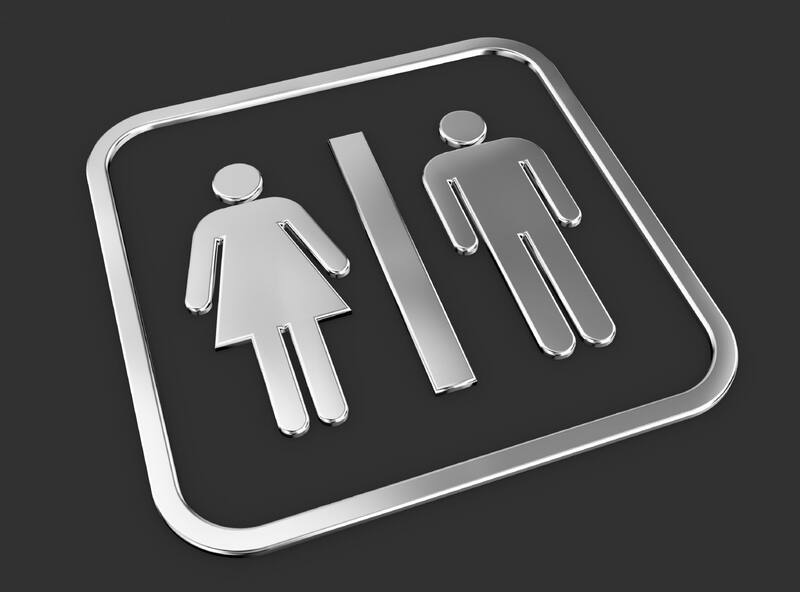 Should the doctor’s colleagues on the council pick a woman to succeed him just for the sake of gender diversity? To be honest, I can’t really identify how a woman’s perspective would fundamentally change the enactment of municipal policy. Still it’s worth considering this fact: Women comprise roughly half the city’s population. Why not recruit a qualified woman to serve on the City Council? Shouldn’t the council represent the interests of all its constituents? It does have an African-American serving. But the rest of the men on the council are Anglos. Hey, aren’t Latinos the second-largest ethnic group living in the city? Again, it’s not that I’m promoting necessarily a gender-based affirmative action policy for the selection process. The city has run well with woman at the controls. Heck, we even elected a female mayor — Debra McCartt — who seemed to defy the laws of physics by appearing to be in multiple places at the same time. The selection process will be an interesting exercise in the first place. The council well might face some competing political differences as it wrestles with finding the right person to succeed Dr. Eades. Let’s toss around the thought of looking for a female to restore the recent tradition of gender diversity on the Amarillo City Council. Will the City Council operate the same? I wish I had been at City Hall this week to watch the swearing in of the new Amarillo City Council. Then I could have seen up close how the new council is going to conduct its meetings. Two new members took office Tuesday: Elisha Demerson in Place 1 and Randy Burkett in Place 3. The Place 4 seat will be filled by either Mark Nair or Steve Rogers, who are competing in a June 13 runoff. Why the curiosity about the conduct of the council? Well, Mayor Paul Harpole is returning for another two-year term. He has adopted the same formula used by previous mayors who have presided over these meetings. It’s a fascinating spectacle and if you’re in the right frame of mind when you watch it, you actually can be amused by the way the council breezes through its process of approving measures. It goes like this: After a discussion, the mayor calls for a motion to approve. Starting usually from the far right end of the dais, the council member says “so moved.” The council member in the next chair seconds the motion. The mayor calls for a discussion. Hearing none, he calls for the vote. “All approved say ‘aye.’ All opposed say ‘no. '” It’s approved. The second motion to approve comes from the person next to the one who made the first motion; the second then comes from the next council member. The mayor goes through the same drill. Measure approved. It’s kind of like clockwork. I remember one time when Debra McCartt was new to the then-City Commission. She got confused about whether it was her turn to make the motion to approve an ordinance. “Is it my turn?” she asked then-Mayor Trent Sisemore. “Yes,” he said. She made the motion and all was good. The two new council members — Demerson and Burkett — both promised “change” was coming to the council. I’m betting the third new guy, whoever it is, will echo that theme. I’ll be waiting to see if the change upsets the normally well-oiled process that drives the City Council to quick decisions. Potter County Judge-elect Nancy Tanner has just posted some pictures on Facebook showing her yukking it up with the man she’s succeeding, Arthur Ware. Why is that worth this brief comment? Tanner served as Ware’s administrative assistant for two decades. Then in 2013 she announced publicly that she was thinking of running for county judge. Ware had been disabled seriously by a stroke in 2010 and it was unclear whether he would seek another term. Ware then summarily fired Tanner, and threw his support to former Amarillo Mayor Debra McCartt, who had announced her candidacy. Ware never has explained his reasons for firing Tanner, who then went on to win the Republican Party primary outright. With zero Democrats on the ballot, her nomination was tantamount to election. They threw a retirement party for Ware. Lo and behold, the judge-elect was there to give Ware a rousing sendoff. What’s the moral of the story? I suppose it can be that longtime friendships have a way of outlasting temporary political snits. Political traditions often consist of unwritten rules of decorum and courtesy. One of them involves the transition from one elected official to another in a particular office. Let’s take, just for kicks, the Potter County judge’s office. Will courtesy be the rule of the day when Nancy Tanner takes over at the end of the year from her former boss, Arthur Ware? Tanner — who served as Ware’s administrative assistant during his tenure as judge — won the Republican Party primary in March in the race to succeed Ware, who didn’t seek re-election after serving as county judge for 20-plus years. Tanner’s road to victory got a little bumpy right off the start. She declared her intention to seek the office before Ware announced this would be his final term. She didn’t officially declare her candidacy, just let it be known she was thinking about it. Ware then fired Tanner from her job. You’re out! he told her. Pack your stuff up and hit the road. Ware then announced he would retire from public office at the end of the year and endorsed former Amarillo Mayor Debra McCartt in the GOP primary. Ware never has explained precisely why he fired Tanner. Tanner won the primary outright. No Democrats are on the ballot, so pending the outcome of November election — which Tanner will win — she’ll become county judge-elect. One of the more interesting facets of the campaign is that Tanner ran on her experience as Ware’s top hand. During a Panhandle PBS-sponsored candidate forum, Tanner declared that “only two people on Earth” know the details of the job of county judge: Arthur Ware and Nancy Tanner. So, I cannot help but wonder if Tanner and Ware will be able to set their acrimony aside long enough for Ware to show Tanner all the ropes, the hidden tasks and responsibilities and perhaps share a secret or two with her that even she doesn’t know. Surely a county judge in Texas can show some grace as he leaves the public arena. First, I have to stipulate that I don’t have an electoral voice in Potter County, given that I live in Randall County. But I’m going to weigh in anyway on the Potter County judge’s race, as I am acquainted with four of the five candidates and I know two of them quite well. The fifth one I met only recently. The reality of this race is that it actually shouldn’t be a close call. Of the five individuals seeking to succeed 20-year County Judge Arthur Ware, the best qualified person for the job is Nancy Tanner, Ware’s long-time administrative assistant. I’ve known Tanner well for more than 19 years. My former job as editorial page editor of the local newspaper enabled me to consult with her many times on the issues of the day. She’s competent. She knows the job. Indeed, she had been doing much of the judge’s job since Ware suffered a debilitating stroke in 2010. Tanner’s learning curve would be far less steep than any of the other candidates. Debra McCartt touts her experience as Amarillo’s first female mayor, her stint as head of a statewide municipal association and her prior experience as a city commissioner. She contends that leadership matters — and it does. 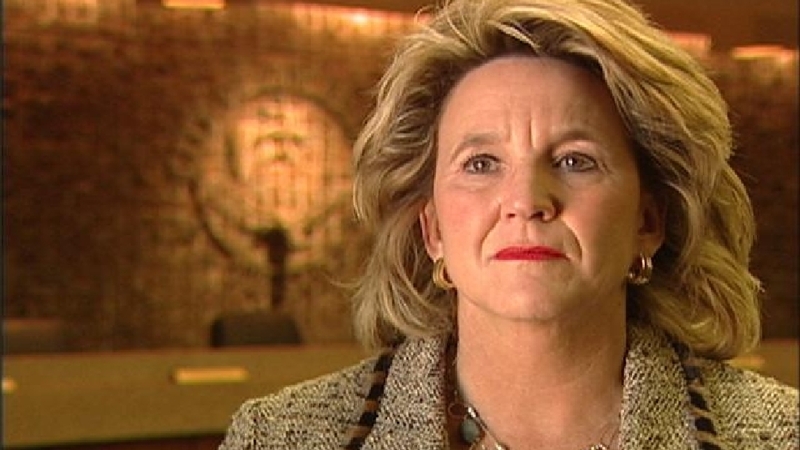 As much as I like McCartt personally and admire the job she did as mayor, it needs to be said that the mayor’s main job in Amarillo’s form of government is “showing up.” McCartt did it beautifully. She showed up seemingly at every event where her attendance was required. She often appeared to be at more than one place at a time. To be mayor, though, required little heavy lifting; that is done by the city manager and his staff of department heads and assistant managers. The third possible dark horse in this contest is Bill Bandy, the candidate I know the least about. He once worked for former state Rep. David Swinford and professes to be close friends with Rep. Four Price, Rep. John Smithee and Sen. Kel Seliger. He seemed to jump out of the tall grass at the last minute to run for county judge. I am unaware of his previous involvement at any level of county government. He, too, is smart and articulate. It seems that his own experience falls far short of Tanner’s. Bill Sumerford and Jeff Poindexter are the two remaining candidates. Sumerford has been little more than a political gadfly for the past decade. He’s an anti-tax hawk who for a time was leading various efforts to put key city council decisions to a popular vote. Poindexter has run several times unsuccessfully for public office — and that’s all I say about that. This contest likely won’t be decided next Tuesday. The smart money suggests a runoff is in store for the top two candidates. I won’t predict who will finish first and second, other than to suggest it appears to be a combination that involves Tanner, McCartt and Bandy. If I had a vote in this race, I’d cast it for Nancy Tanner. Let’s play a little game of political prognostication regarding Potter County’s five-person race for county judge. Five Republicans have filed to fill the seat occupied by County Judge Arthur Ware, who’s decided not to seek another term. He’s still trying to recover from a devastating stroke. I’ll stick by my contention that the two frontrunners remain Nancy Tanner, Ware’s long-time assistant, and former Amarillo Mayor Debra McCartt. Three more candidates have filed: Bill Bandy, Bill Sumerford and Jeff Poindexter. Of the three, let’s look at Bandy as the serious third choice behind Tanner and McCartt. Bandy has been involved at many levels of government and civic organizations … or so I understand. Sumerford and Poindexter have run unsuccessfully for other offices. Poindexter is a nice fellow. Sumerford is nice enough, too. Neither of them should be serious factors. Back to the top three. Tanner, McCartt and Bandy all figure to gain the lion’s share of votes. In a five-person race, therefore, it becomes difficult — as I see it — for one candidate to emerge with an outright majority in the GOP primary next March. That means a runoff would take place with the top two candidates. If I were a betting man — and I’m not — I’d suggest that in a runoff, the second-place finisher is in the catbird seat. The individual who finishes first has his or her supporters on whom to count. The person who finishes second has his or her supporters, plus the whole rest of the votes cast for candidates other than the person who finished first. I’ve seen this scenario play out before in Randall County, where the No. 2 candidate scarfs up enough of the anti-first-place vote-getter’s supporters to win a runoff. Will this occur next March in the critical race to see who becomes the next Potter County judge? I cannot predict it will, but it could emerge quickly as a distinct possibility. Stay tuned for a most entertaining campaign. As is quite often the case, my attempt at political prognostication proved pointless. I had posited a notion that two candidates for Potter County judge would vie against each other the seat being vacated by long-time incumbent Arthur Ware. Silly me. I didn’t anticipate a field of five Republicans running for the office next year. I’ll stick with my view that two leading candidates will continue to be Nancy Tanner, Ware’s long-time administrative assistant, and former Amarillo Mayor Debra McCartt. The rest of ’em? I know two of the other guys: Jeff Poindexter and Bill Sumerford. Poindexter has run unsuccessfully several times for Amarillo City Commission posts. He’s an earnest and nice guy. Sumerford is the “gadfly” I mentioned in an earlier post. He’s a kind of tax-cutting tea party activist and has led petition drives to put measures on the ballot, believing that voters should have to decide everything. Neither of these guys is a serious contender for the judge’s office. I don’t know Bill Bandy, the fifth person in the race. He’s done a lot of things in his life, served on some boards and once worked as an “assistant” to former state Rep. David Swinford, R-Dumas. I am intrigued by the “assistant” label attached to him in media coverage. I’d like to know to what level he assisted Swinford, whether it was on serious policy matters or whether he moved furniture around in Swinford’s office. Well, all that said, the contest remains — in my view — a two-woman campaign between Tanner and McCartt, although the three other candidates could produce a runoff if the winner of the GOP primary doesn’t reach the 50-percent-plus-one-vote majority needed to be nominated outright. I’m thinking now that Bill Bandy could be the darkhorse.